The Titan XD remains popular with pickup owners who enjoy the power, performance and space that a full-sized truck provides. The latest models enable new owners to customize their trucks to meet individual needs. 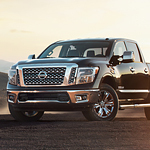 Our Nissan sales facility has the new trucks on display for your viewing pleasure. Upgrade the truck bed with a box that keeps frequently used items safe and out of sight. The boxes feature covers and quickly lock to secure your stored valuables. They are also waterproof and might be used to add ice and beverages for a refreshing break on hot days. When needing more space, simply remove the box. Add a step rail to enter and exit the vehicle with ease. A bed-side step allows easier access to the contents of the bed and roof of the pickup. The steps quickly retract beneath the vehicle when not in use. Take a Titan XD for a drive and choose your options.